By serendipity, I came across the instrument repair professional Robert Stempfle based in Switzerland. I found an example of such mechanism from FB and attached it here. 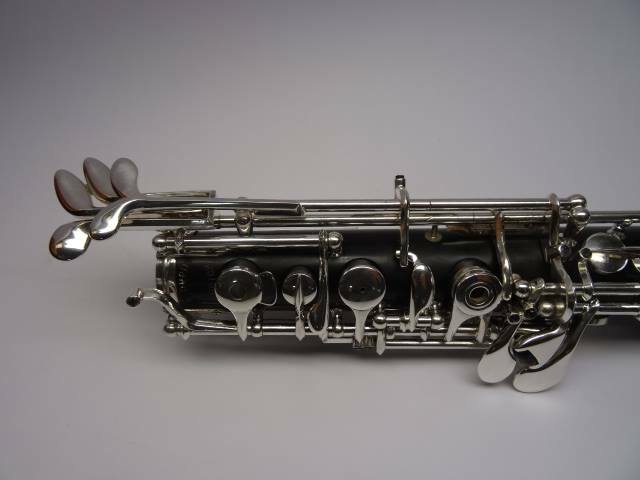 I reached out to Robert, but unfortunately he said he no longer rebuild oboe. He referred me to another oboe repair professional in Germany. Has anyone done such a retrofit work with Robert Stempfle?